We often hear from people interested in importing vehicles, that their state doesn't have emissions. Normally they think this would make it easier for import. However there are more than one set of rules, and one set of government agencies to satisfy for vehicle import and registration. In order to have a road registered legal vehicle, you have to meet all 5 requirements above. That is US Customs, NHTSA, EPA, State registration, and State Emissions requirements. 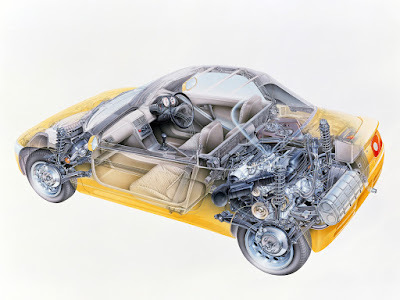 You can have a vehicle that is imported to the US legally. That is, meet US Customs, NHTSA, and EPA requirements, and not be road registered. This would be a legal import. If you chose not to register or drive the car on the road, then that would be your own prerogative. Stick it in the corner, make it into wall art. You can NOT have a vehicle that was NOT imported legally though US Customs, NHTSA, and EPA, and then road register it. Although it happens all the time, this type of import is illegal. Cars get seized, cars get crushed. Most people get away with it, at least for a while, but eventually the illegal imports catch up to them. Your state doesn't have emissions. This is incorrect. Your state doesn't set emissions standards, unless of course you are in California. If you are in any of the other 49 states, then they follow the US EPA requirements for vehicles. Without getting too complicated, when a state has emissions testing, this is called, In Use Testing. Its also called smog check, e-check, smog, IM240, etc. What In Use Testing does, is verify that vehicles on the road are maintaining emissions requirements as set forth by the EPA. So the state is verifying vehicles are continuing to meet Federal requirements for mobile sources. 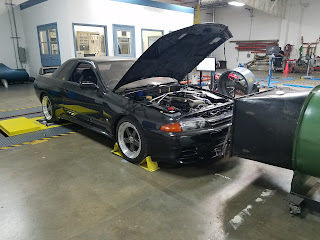 R32 GT-R undergoing emissions testing at a California certified lab. Many states, or localities don't have In Use Testing. What surprises some people, are there are areas even in California that don't have In Use Testing. Just because they don't test, doesn't mean that you are exempt from emissions requirements. They just don't have testing. This is a difficult concept for some people to grasp. A similar type situation would be speeding. You speed, you record video of it. While you didn't get caught or pulled over for it when breaking the law, later on the police use the information you posted publicly to charge you with a crime. Some of this information has actually changed in the last few years in California. Some examples of how complicated state emissions can be, are listed below for California. All areas of California require Smog Check certifications when a specified model-year vehicle changes ownership or is registered for the first time in California. The Smog Check Program divides the state into the following areas:Enhanced Areas: These areas do not meet federal or state air quality standards for ozone and carbon monoxide. Biennial Smog Check inspections are required in these areas, in addition to the change of ownership and initial registration inspection requirement. Additionally, a portion of the vehicles in Enhanced Areas must receive their biennial Smog Check at a STAR station. In order to measure NOx emissions, specified model-year vehicles in Enhanced Area are subject to an ASM (Acceleration Simulation Mode) emissions test. Californians getting Smog Checks today may notice that the traditional tailpipe test used for many years has been replaced by a quicker, computer-based test for gasoline-powered cars model-year 2000 and newer, and for most diesel vehicles that are model-year 1998 and newer. This updated test uses the diagnostic capabilities of the vehicle's computer system instead of the traditional tailpipe probe to measure the vehicle's emissions. This On-Board Diagnostic (OBD) system gathers information and determines if the vehicle's emission control systems are operating properly. A visual inspection of emission control components is still required as well. The OBD only method of testing vehicles is the result of 2010 legislation (AB 2289-Eng) which is designed to improve the Smog Check Program and further reduce air pollution. The Smog Check program removes hundreds of tons of smog-forming pollutants from California's air every day. Gasoline-powered vehicles model-year 1999 and older will continue to receive Smog Checks using a tailpipe probe as well as the OBD test. Vehicles that are six model-years old and newer are not subject to the every-other-year Smog Check requirement since newer vehicles are considered cleaner, and less likely to fail a Smog Check. Vehicles four model-years old and newer do not require a Smog Check upon change of ownership. Note: These exceptions are not applicable to diesel-powered vehicles. That is interesting that not every state has the same emissions process for your vehicles. That is good to know that in almost every state there with be some sort of emissions testing it may just have a different name, for example In Use Testing, smog check, e-check, smog, IM240, etc. I had no idea that California does not have a testing for cars in operation.